Dennis was a large investor to many different companies. He had plenty of wealth, but he was missing something. The love and happiness that comes from children. He was on one of his business trips when he heard the soft cries of an animal coming from some nearby bushes. When he went over to them he found a small kitten whimpering and crying for its mother. After Dennis picked it up and quieted the kitten down. He was able to learn from the kitten that he fell out of the back of a truck and that he has now lost his mother and brother. That was Dennis’s first adoption the second came when he was on vacation. A very similar situation happened but this time it was a girl kitten that had watched her mother, get shot. Dennis adopted her as well; he found his happiness now. Now he just had to find somewhere to live. Dennis and his pets, Speedy and Snowy, have had to move from city to city. There was nowhere they were accepted. It was for one reason only, Speedy is a cheetah and Snowy is a snow leopard. So they were not welcomed into normal neighborhoods. So with Dennis’s vast resources and riches he decided to make a town that accepted only exotic animals. 50 miles from the nearest city he created a beautiful place for people to bring and live with their exotic pets. He called it Exotic Acres! Ok so now for this new place there is only one major restriction, NO NORMAL PETS! I am talking about pets like dogs, cats, rodents, rabbits, and birds. Only animals that would normally only live in zoos or the wild. here's a list of species that will be accepted here. 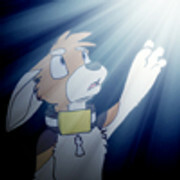 (keep in mind which species are anthropomorphized in the Housepets! universe.) If you want to use a species not on the list, ask me about it in this thread. Also, there is a limit of two pets per person. Normal pet friendly character sheet. Vet's receptionist: Sue, Geoff's wife. Co-owner of Jake and Joey. also Playable by Hlaoroo. Last edited by musclecar326 on Tue Sep 03, 2013 4:38 pm, edited 21 times in total. Personality: She can be very shy but is usually very friendly and nice. Loves the outdoors, and exercising. Also has a tender side whenever someone talks about their mother. Even with this soft side, she isn’t a wimp. Speedy can definitely take some hits and keep going. Loves meeting new pets. Appearance: Regular cheetah pelt, black spots and tan fur. Black tail tip and ears, with piercing blue eyes. Has a scar on her right shoulder. History: Had a hard young life. Was out catching prey with her mother when some hunters came out of nowhere and shot her mother. Speedy was barely able to make it out of there herself. Got grazed with a bullet while running away, she now has a permanent scar on her right shoulder. Was found limping on the savannah by Dennis and adopted by him. Personality: Very physically active. Is very protective of Speedy, and will threaten anyone who might cause harm to her. Loves technology, he is a computer genius and can hack into anything. Even though he is a hacker, he is still very strong. Has a hobby of spying on people and pets. Appearance: White, gray, and black fur. With a long bushy tail that is all gray. Has one scar above his eye that he got from Speedy by accident. History: He had a normal life in a zoo until the zoo closed of bankruptcy. Him and his mother, along with his older brother were being transferred to another zoo. While his cage was being loaded, the lock broke and he tumbled out. Snowy had been tranquilized before, so him and the worker didn’t notice. The truck drove away with his family and he was left alone on the streets. Luckily he only lived on the streets for 1 day before Dennis found him. There seems to be little response in this thread. I personally like this thread, and I think it will turn out to be a lot of fun. This should become what Oasis Towers tried and failed to be, hopefully. I'd like to reserve a spot, if I may. I'll join, just gotta decide what exotic animal I want to be. maybe a monkey... probably a monkey, they're cool. Oh i can for sure save two slots for you two, considering i have one saved for Moon Howler. Well that would be 5 slots if all of you are joining. Hopefully ill be able to start seeing sheets, and adding animals to the list very soon. But no rush. Also i am very excited that people actually want to join EA. Heh reserve me a spot, whenever I get time I'll be sure to post a C-Sheet right away. Last edited by Marine Fox on Wed Mar 07, 2012 11:29 am, edited 3 times in total. I hope it's ok if I use two characters. Personality:Joseph rarely speaks if not spoken to first, he's not paticularly social and he's never been one to bring any kind of attention to himself. He has a dry sense of humor that occasionally shows through his quiet reserved demeanor but for the most part he's content to be in the background. Appearance: Pretty average looking Jackal, Average height with a wiry build. He wears a Red collar with a tag shaped like a pyramid. History: Originally from egypt Joseph was taken from the wild illegally by poachers who planned on selling him as an exotic pet, they had trouble finding someone to buy him and Joseph ended up locked in a kennel and largely forgotten. He was rescued by police and nursed back to health along with Kallie. Joseph struggled with PTSD after his captivity as well as intense claustrophobia. It was decided that he was unfit to be released into the wild. Kallie and Joseph were both adopted by a philathropist who was looking for a pair of exotic animals to rescue and bring to Exotic Acres. -Has always taken great pride in the Jackal's role in egyptian folklore, he will talk for hours toanyone that'll listen about how Jackals used to be worshiped as gods. -Loves soccer and follows the egyptian national team passionately. Appearance: Has a Biegie-white coat and makes a concious effort to keep it well groomed. Is average sized for a lynx. Has a blue collar with a maple leaf shaped tag. She has a bit of a temper and has been known to act rashly at times. She is fiercly protective of Joseph and has acted as his big sister therapist and bodyguard since meeting him. (whether he wants her to or not) She is very stubborn and doesn't like to take orders from anyone. -Though she dealt with her ordeal much better than Joseph, Kallie still occasionally has nightmares and is wary of enclosed spaces. Last edited by Seth on Wed Feb 15, 2012 11:19 pm, edited 2 times in total. I would like to reserve a slot too. OOH OOH! I WANNA I WANNA! Just kidding. But yeah, I'd like a spot. Seth and Marine-Fox your characters look good to me. Welcome to EA. So this means that you aren't saving spots? or just that you aren't saving anymore and anyone who already reserved a spot is good? I think "first come, first served" and "no rush" are mutually exclusive concepts. One also assumes those with reserved spaces would not be at risk of losing them. What I'm saying is that everyone that has a reserved spot will get theirs. But there are only 3 or 4 spots left for new people who haven't reserved spots yet. Oh! and one more thing when you post your Character sheets, please include a link to an image of your animal. When do you think EA will be up and running, on the RP forum? whenever most or all of the spots are filled with submitted character sheets, probably. You are correct Brent. As soon as most or all the slots are filled, I will start the RP up. The first post will be a little paragraph explaining the town/neighborhood. Like how it is laid out, and where the houses and businesses are located. Then it will officially start for all other players. Alright, I'm going to try to make two characters. she looks just like the image in the link. She has yellow eyes. She doesn't like wearing a collar, so she has one made for a larger pet that she wears as a belt. It is yellow like her eyes, and has a gold tag shaped like an "M"
She's energetic and outgoing, and also fairly intelligent. She likes to climb (duh, she's a monkey). When she falls to her lustrous vice or uncontrollably does trick to music, she gets embarrassed. If anyone laughs, she gets angry. She had a brief stint as a show business monkey, where she played an organ grinder's monkey. As a method actress, she got herself addicted to shiny things and does tricks when she hears music. she doesn't like acting like an idiot, but she can't break the habits. Weaknesses: shiny things and music. his eyes are a vibrant blue. He wears a custom made red collar with a tag shaped like the M.G.M. logo but it's his own smiling face in the middle. Most would expect a lion to be tough and ill-tempered, but Metro is outgoing. He acts just like a big domesticated cat. He likes to play with Maria, and tease her when she shows her weaknesses. He was born in a zoo, trained by a lion tamer, and raised from a young age by their dad, who is a retired film director. he gets depressed when people are scared of him. This is made worse by the fact that he sometimes roars when he's having fun, as a mighty roar like his can strike fear into nearby animals. Strengths: He's a ******* Lion. Weaknesses: His brotherly love for Maria and his depression when people are scared of him. Last edited by RandomGeekNamedBrent on Wed Feb 22, 2012 11:26 pm, edited 3 times in total. Nox’s fur is completely black. His eyes – deep blue. He doesn’t use collar, but instead a Silver chain with his ID-tags from the same metal on it. He hates violence, though he’s not afraid to use his own strength if needed. Other than that, he’s a really nice, yet a bit crude on the outside. Nox was separated from his natural environment as a cub, after witnessing his mother being shot. After being smuggled in a small container, along with an albino cougar, which he quickly befriended, and about a dozen other exotic animals (still cubs themselves), they were sold illegally to rich people, looking for such animals for their private Zoo’s and houses for showing off to others like them. For a year, he was held in such private Zoo, along with his albino buddy under the bad cares of a spoiled businessman, who later sold them to another millionaire, which at least gave them good care. They stood there for another year, after which they were sold again, this time – separated from each other. After another year of being constantly sold and bought, he ended up in the hands of a very nice person, who even planned to give him to a Zoo. It was then when the black feline met his albino friend once again. Yet that same person was finished by a crime lord, who took the panther along with most things. Luckily for both felines, they were saved in an assault on the Crime-lord’s private Mansion. A commando of the name of Alex Johnson (a brother of the last mentioned person) found the big cats and took them under his care, lately adopting them, using his brother’s connections and wealth. Since they were completely black and white, he decided to name them Nox and Lux, meaning Night and Day. Since Alex adopted them, he’s been training and teaching them in self-defense, therefore they’re good at fighting. They can also read and write, since Alex taught them that too. Lux is more social than his brother, yet he shares the same dislike for people in costumes, mainly because of what he’s been through, yet he highly respects officers of all kinds, as long as they wear uniforms. He hates violence and prefers to solve the problems with words rather than fists. He's as nice as he is fluffy. Lux was stolen from his den as a cub, along with his brother and sister. They got separated shortly after. Lux was smuggled in a small container along with other animals and a black panther, which he quickly befriended. They were later sold to Rich people, who used them to fill their private Zoo’s and mansions for the simple purpose of showing off. For a year, he was held in such private Zoo, along with his black-furred friend under the bad cares of a spoiled businessman, who later sold them to another millionaire, which at least gave them good care. They stood there for another year, after which they were sold again, this time – separated from each other. After half a year, of being sold and bought a few times, he ended up in the hands of a very nice person, who even planned to give him to a Zoo. After another half a year, his current owner bought his Panther friend, reuniting them once again. Their happiness, however didn’t last long, because soon their owner was finished by a crime lord, who took the cougar along with most things. Good choices you two. Welcome to EA! 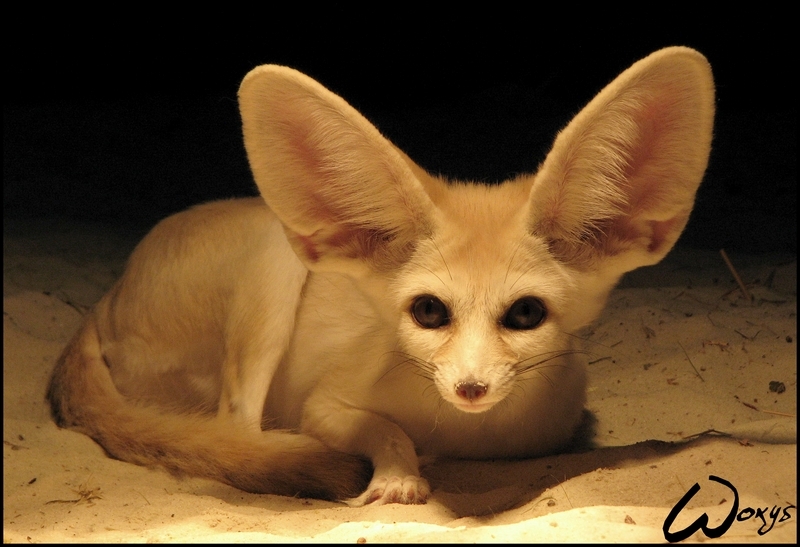 Personality:A quiet enthusiast, She tends to be more reclusive, and not just because of how well she can hear. She's nervous around people because not only do they tend to be to loud for her, but because she's often at a loss for words in a social environment. Despite this, she's actually in public a lot because she thinks it's easiest to find something interesting where people usually are. History: Tesla is one of few exotic pets legally raised to be a pet. Her name comes from an incident from when she was young, where she toothed on a cord so much it shocked her. Appearance: Tesla wears a hot pink collar with a dark pink "X" under the buckle, which she keeps at the front. Not being very of a fashion-inclined, she wears a clashing dark green, sleeveless jacket to keep herself warm. Her tag is that of a silvery feather-quill. She's nonjudgmental, so she won't care what someone is, just so long as she gets along with them. She's very good at selecting what she hears, so if she doesn't seem to hear you, she's ignoring you. She can hold a grudge. When threatened, she's more likely to play a mind game with her assailant than she is anything else. She's been trained not to eat anything but what she's told. Last edited by Leafolawl on Sun Feb 19, 2012 9:19 pm, edited 3 times in total. 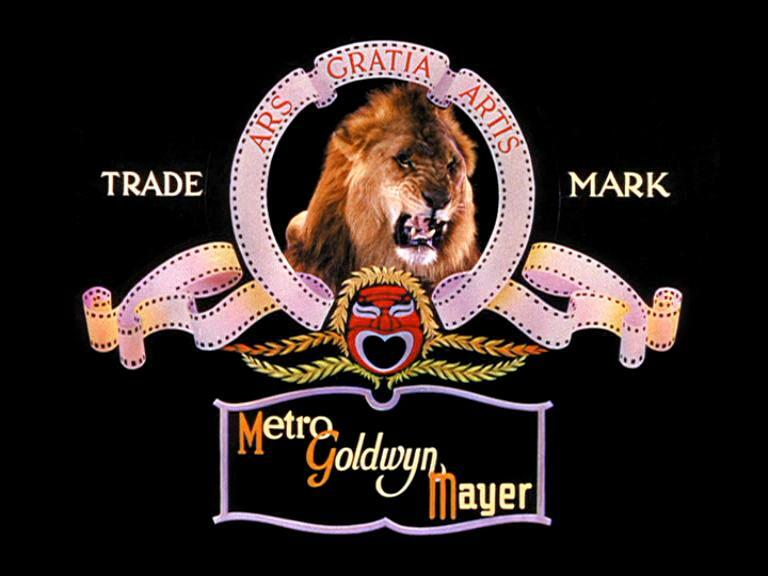 but I still like "Metro" Goldwyn Mayer. I take the cake on geekiest Name pun ever! Sorry about not accepting you for a little while, but now you are officially Welcomed! Also nice puns there you two. Woot Woot! 10 characters up and running! Yeah i know that, i have been working on the opening descrption/post for a day now. I should be able to get it up by later today or tomorrow. It has been posted!! Start posting there now, please. Any questions, just PM me or if it concerns everyone post it here. Not at the present moment but as soon as the present characters meet each other and get some normal RPing going; I might open a few more slots. gonna post in an hour or so..
Greetings! If any slots open up in the future mind if I join? Not at all. I will open 4 slots after the pets right now meet each other and start doing some normal stuff. I am confused... where are everybody? First off, I think you mean where is everybody. Second, I'm not 100% on this, but I know for certain where some of the characters are. Tesla: Near the border between the Forest and Desert areas, but in the desert area. Goldwyn: In the Jungle area. Kallie: Close enough to Tesla to see her. Ryan: Somewhere near the center of town? Third, I didn't list your characters because You know where they are better than I do. Ah just to clarify Ryan is just at near the edge of the forest part of town.